It’s vampire week, Geeks! Check back Friday to learn why vampires are the best monster and why they’ll always beat werewolves and zombies in a fight. This entry was posted in Jen P, Quotables and tagged best monster, frog brothers, Jen P, lost boys, monster battle, quotable, quotables, the lost boys, vampire week, vampires, vampires vs werewolves vs zombies, who would win, who's the baddest, who's the best monster. Bookmark the permalink. 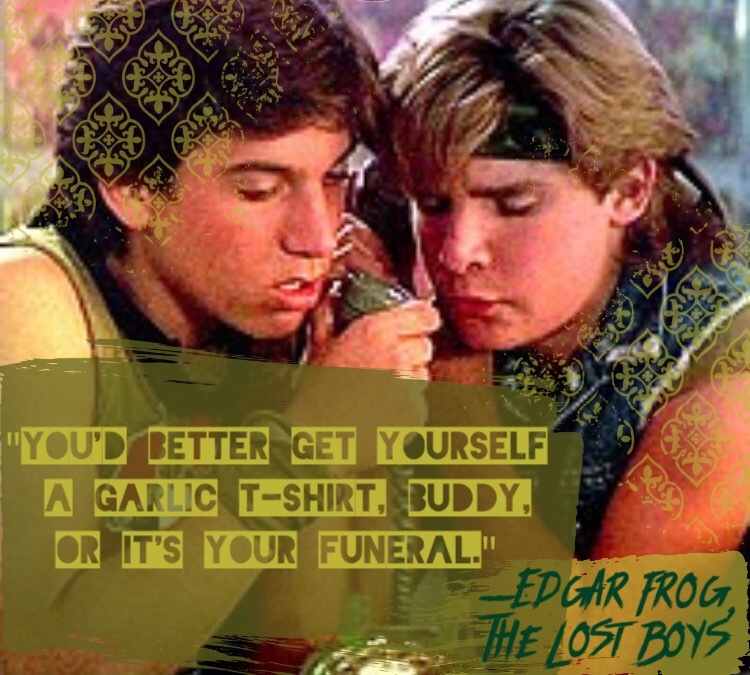 The Lost Boys rocks. For me it will never get old.